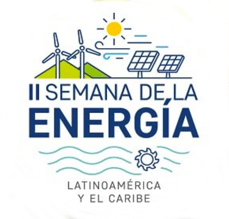 The V CIER Energy Conference will be held on November 28 to December 1, 2017 and will take place at the beautiful city of Medellin at Plaza Mayor Convention Center organizing by Comité Colombiano de la CIER – COCIER. The main topic will be “Sustainable Energy for all in the Smart Society. The event will offer spaces for business relationship and opportunities for the utilities as well as to the energy industry suppliers goods and services attender’s. The V CIER ENERGY CONGRESS aims to analyze and discuss the challenges that the sustainable energy development faces to provide a reliable, safe, and environmentally friendly supply, with the appropriate means to ensure energy access to all actors of the smart society environment. What is our data and analytics strategy? What should we focus on to deliver quick value? How do we know our data and manage it? How do we integrate our data? How do we architect our data? Understand the abstract UML model. This represents the major objects within the utility industry and is widely used. It is recommended by a number of organizations such as NIST for their Priority Action Plans (PAPs). CIM standards aim to simplify the integration of components and expand options for supply of components by standardizing information exchanges.